Wareable's executive editor James Stables recently wrote an op-ed titled Smartwatches are playing by different rules and the tech world needs to adjust. In it, he argued that "tech is following the path of the fashion world, not the tech one" and said that "when it comes to smartwatches, looking for a single winner is a road to nowhere." It's clear that traditional tech powerhouses - Samsung, Sony, Apple et al - are having to adjust to a new way of targeting consumers with smartwatches. Gone are the days when big name tech brands could chuck out a single variant of a product - such as a smartphone or tablet - and expect to count sales in the millions. Smartwatches, like regular dumb old watches, are very personal items. Not only do people wear watches to match their personal style, they also invest in traditional fashion based brands. Apple is perhaps the only tech brand to enjoy fashion brand levels of desire but that hasn't stopped it resting on its laurels. It announced a partnership with Hermès back in September and has since revealed more co-branded designs with the Parisian company. 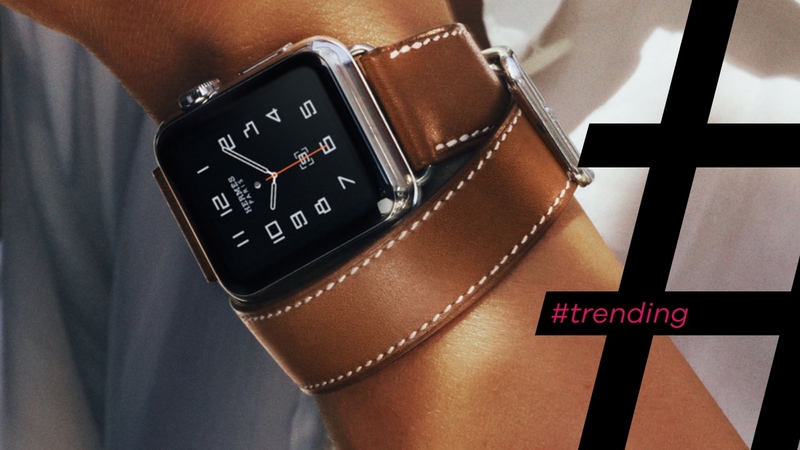 And, if the rumour mill rings true, Manhattan leather giant Coach is the next fashion brand kitting up with Cupertino for a smartwatch assault. Apparently there will be nine Coach Apple Watch bands with red, saddle, black, and white options offered. Samsung has partnered with luxury jewellery and watchmaker de Grisogono for a limited edition version of the Gear S2. There's the choice of a rose gold case with 56 white diamonds, or a black stainless steel case with 71 black diamonds... all kept in place by a black Galuchat watch strap. What we'd like to see from Samsung now is some thinking outside the jewel-encrusted box. Sure, the de Grisogono model is a step up from its usual Swarovski editions but there's more to fashion than shiny things. Samsung has been down this path many times before. Sure, chucking a few Swarovski gemstones on an already smart looking smartwatch may make the watch appeal to a few more people, but essentially the Huawei Watch Jewel and Elegant models are still tech-first, fashion-second propositions. We're well aware that Huawei would have brought in experts to jazz up its Android Wear debutant (although the thought of the hardware engineers taking a day out of the lab to play jewellery-maker is a nice image) but it would have been better off teaming up with a 'name' from the world of fashion and co-branding a Huawei Watch special edition.